RNZAF B200 King Air NZ1883 made an early morning arrival and departure at Woodbourne. It operated to and from Ohakea. Air Chathams Convair ZK-CIB departed Woodbourne for Wellington, once again as CVA580, after its 4 day stay at Safe Air. Pionair Convair VH-PAL arrived at Woodbourne this afternoon from Christchurch. After the spate of cancelled flights, a reprieve was had on 19-Feb-2009 with no evening departures from Brisbane cancelled. This was short lived though as 20-Feb-2009 DJ175 to Nadi was cancelled and on 21-Feb-2009 DJ188 to Auckland was cancelled. Marlborough Aviation Scene may be off line until 12-March-2009 as I will be away. I may still be able to post NZ Airline news during this time, but there will be no Marlborough updates. Arriving into Woodbourne early afternoon (shortly after the previous post including 16-Feb-2009) from Wellington was Air Chathams CV580 ZK-CIB as CVA580. The crew were noted following Safe Air staff into the #1 hanger indicating CIB had arrived for maintenance work with Safe Air. A couple of lighties noted operating IFR during the afternoon, the first was Cessna 182Q ZK-CJM registered locally to The Dorset Trust, heading south via the dashwood pass. Also arriving into then later departing from Omaka was Bulls Flying Doctor Service Cessna R172K ZK-RJG. This was flown by owner Dr Dave Baldwin who was undertaking his renowned flying doctor pilot medical service. Noted departing Woodbourne late in the evening heading for Timaru was Helicopter Services (BOP) Ltd's Piper PA-31-350 ZK-NSP. I am unsure as to whether this was operating a medical, freight or charter service, but it was an unusually late departure, which would've resulted in a really late arrival into Timaru, more than likely in the early hours of 19-Feb-2009. Pacific Blue seem to be canceling a lot of evening departures (and subsequent next morning arrivals) from Brisbane. Since the previously reported cancelling of the BNE-NAN flights, the following have also been cancelled. As forecast yesterday there has been an announcement from Jetstar and Qantas Jetconnect. From 10 June 2009 Jetstar will begin flying domestically in NZ with two 177 seat A230s. They will begin to replace Qantas Jetconnect services. From 24 June 2009 they will add a 3rd A320 and completely replace Qantas on domestic services. This marks some change to Qantas group domestic services. June 24 sees the reintroduction of services between CHC and WLG albeit 1x daily. It also sees the end of Jet services into Rotorua, with JQ stating its A320s are too large to be operated safely into ROT. Wellington will also loose two daily return flights to Auckland. It is also noted that currently QF operate 13 daily return flights on the domestic network and when JQ is fully operational from 24 June it will only operate 12 daily return flights. But it should also be noted that with the change to 177 seat A320s there will be an increase in capacity of 43%. Passengers with bookings on Qantas services after 10 June will be accommodated on the new Jetstar services. All Trans-Tasman and Domestic services will be code shared allowing seamless transfers. Passengers will also be able to earn and use QF Frequent Flyer points on JQ domestic services. Qantas Jetconnect will solely focus on Trans-Tasman services. Its fleet of Boeing 733 and 734 aircraft will be replaced by 738s between September and November. It is expected that the 733s will be retired immediately with the 734s continuing to operate the Trans-Tasman services until the 738s are introduced. Qantas have also announced that the WLG-BNE return weekend flights will be ended, meaning QF will no longer connect WLG and BNE direct. They will also increase AKL-MEL return flights to 3x daily and AKL-SYD return to 5x daily. They will also alter the timing of the MEL-AKL-LAX QF25 service to offer better connections to QF107 LAX-JFK. Once again Pionair Convair VH-PAL operated a tour flight through Woodbourne arriving late morning from Mount Cook then departing during the afternoon to Wellington. Also arriving into Woodbourne and Omaka was Nelson based Cessna TU206G ZK-EOP arriving from Nelson under the callsign Survey2. EOP c/n U20604697 was first registered in NZ in 1979 and is owned by Air Logistics (Nelson) which operate the business Aerial Surveys. Arriving into Woodbourne during the morning was RNZAF B200 King Air NZ1884. Also operating around Woodbourne were two RNZAF UH-1H Iroquoi's NZ3809 and NZ3816. Once again the Friday/Saturday and Sunday/Monday overnight DJ175/174 BNE-NAN-BNE were cancelled this weekend 13/14 & 15/16-Feb-2009. Jetstar operate two aircraft from their Christchurch base, on services to Sydney(10x/wk), Melbourne(9x/wk), Brisbane(7x/wk) and Gold Coast(2x/wk). All JQ aircraft are able to operate on the Short Haul International, Australian Domestic and Trans-Tasman fleets. The aircraft in the Trans-Tasman fleet usually swap in MEL but can also swap in SYD. On Saturday 14-Feb-2009 VH-VQS was operating JQ190/191 CHC-OOL-CHC when it was struck on the ground in OOL by a loader, which caused the return JQ191 to be cancelled. The follow on effect was JQ140/143 CHC-SYD-CHC & JQ166 CHC-MEL were cancelled on Sunday 15-Feb-2009. The aircraft was replaced on the Tasman run by VH-VQC which slotted into the schedule operating JQ171 MEL-BNE. VQS re-entered Jetstar service the same day operating JQ447 OOL-MEL. Jetstar are set to add a 3rd A320 to its Trans-Tasman fleet with the addition of an AKL base at the end of March. It will operate a daily AKL-SYD-AKL-OOL-AKL routing. There is also scheduled to be an announcement from Jetstar this week, which is believed to be introducing off peak domestic services to the NZ market. This will help in fleet rotation between the AKL and CHC bases, and also enable easy rotation between the Australian domestic and Trans-Tasman fleets. There is speculation as to if the domestic services will just be AKL-CHC or whether WLG, DUD and ZQN will also gain services, but all will be reveled at the press conference during the week. The newest destination in the Domestic network is Masterton (MRO) with 7x/wk services to AKL being operated by Eagle Air's B1900D's. The inaugural AKL-MRO service arrived into Masterton yesterday Sunday 15-Feb-2009 with ZK-EAI having the honour. The inaugural MRO-AKL service departed this morning Monday 16-Feb-2009. Ardmore based National Business Review C501 N800DT operated through Woodbourne today arriving from Dunedin around 1220 and departing home to Ardmore around 2115. RNZAF Airtrainer NZ1997 was noted arriving into Woodbourne. Also noted was RNZAF Iroquoi NZ3816 which has been operating above Woodbourne all week. Some troubles with the weather in central NZ this afternoon. SPAR's (Special Aerodrome Report) were issued for both Wellington and Christchurch, and problems were also noted at Woodbourne and Nelson. NZ2445 WLG-BHE was cancelled and NZ8227 AKL-BHE diverted to Nelson, - NZ8227 was then noted diverting again from NSN to WLG! Meaning the poor passengers were couped up in the Q300 for well over two hours, by the time it finally made a successful approach into WLG. NZ2448 BHE-WLG managed to depart and noted they entered the cloud base at only 450ft!!! Numerous flights into WLG and NSN were noted circling and making multiple missed approach/go around's until they were able to land. Jetconnect once again operated a non business class bird on QF126/125 AKL-BNE-AKL on Tuesday 10-Feb-2009 with ZK-JNB operating the flight. On Wednesday 11-Feb-2009 Boeing 737-476 ZK-JTR was parked up for maintenance - the second Wednesday in a row that the QF fleet has been down more than one bird. Pacific Blue has been noted cancelling the evening DJ175/174 BNE-NAN-BNE flight on 16 & 23 Jan and 6 & 8 Feb. The first few notable happenings around Marlborough today were RNZAF display teams heading south to farewell Wigram. The first of the RNZAF display teams passing by this morning was the Red Chequers, noted tracking through the Cook Straight region heading south. The second team was Sioux Blue which staged through Woodbourne. Also noted today was Pionair Convair VH-PAL which arrived into Woodbourne direct from Mount Cook. It later departed to Wellington - this was another of the regular Tauck World Discovery tours. 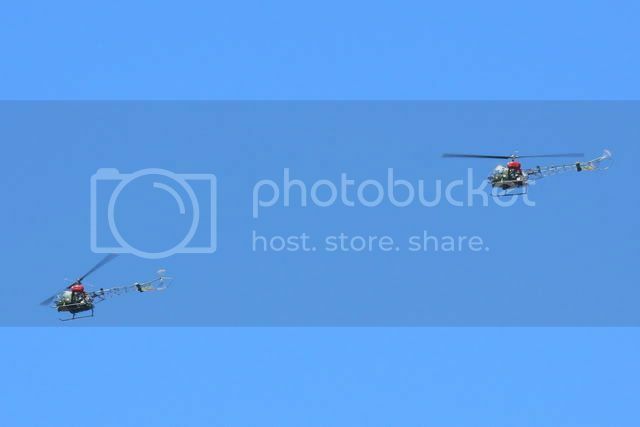 Noted flying in tandem, transiting the Woodbourne control zone, routing from the west, passing south of Woodbourne, north of Omaka and then exiting towards the south via the ponds and white bluffs were two Nelson/Motueka based helicopters. ZK-HEX an Aerospatiale AS350BA of Reid Heslop Helicopters of Wakefield, and ZK-HEC a Eurocopter EC130 B4, operated by Tasman Helicopters Above & Beyond Ltd, of Motueka. RNZAF B200 King Air NZ1883 was noted making an approach and overshoot at Woodbourne, before continuing on towards the west and then south. As noted previously Qantas have withdrawn middle of the day services between Auckland and Wellington to enable maintenance on one of their fleet. This is Boeing 737-476 ZK-JTP which as noted in the last post positioned from Wellington to Christchurch on Sunday 25-Jan-2009. Almost everyday this week QF126/125 AKL-BNE-AKL has been delayed by up to three hours. With Thursday 05-Jan-2009's flight being operated by non business class equipt B737 ZK-JNC. Also there is no sign yet of the former mainline B734 ZK-JTS which is set to join Jetconnect this month.